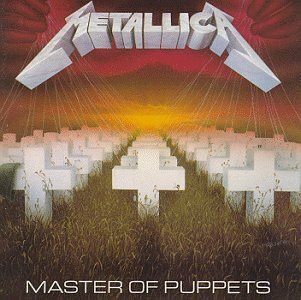 The first image on the page is for Metallica - Master of Puppets, followed by the original. Also check out the most recent parody covers submitted to the site. Great Job. All 5's for you!! Reminds me of this other one I saw along the same lines but it was Metallica: Pasture of Muppets. I'm actually looking for that image and stumbled on this one. As a metal fan I think it's hilarious but there are die hard Metallica fans who think it's sacreligous.